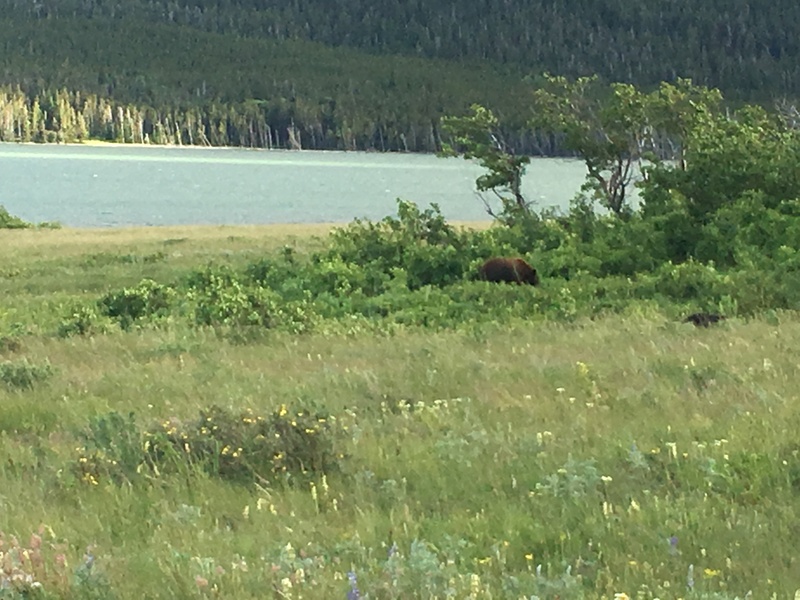 While out delivering The Attraction Menu we regularly travel through Glacier National Park. We can always depend on seeing something interesting. 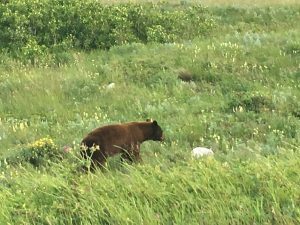 This visit it was traffic stopped along the road, and catching sight of a sow grizzly and her cub in the ditch along the road. We soon realized she was working on a road-kill deer. Given we were stopped in traffic (also known as a bear jam), we decided to shoot some video from the car. The sow has been collared (you can learn more about radio-collared bears here). 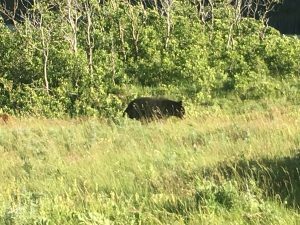 Please keep in mind we were in our vehicle the entire time and were completely across the road from the bear. 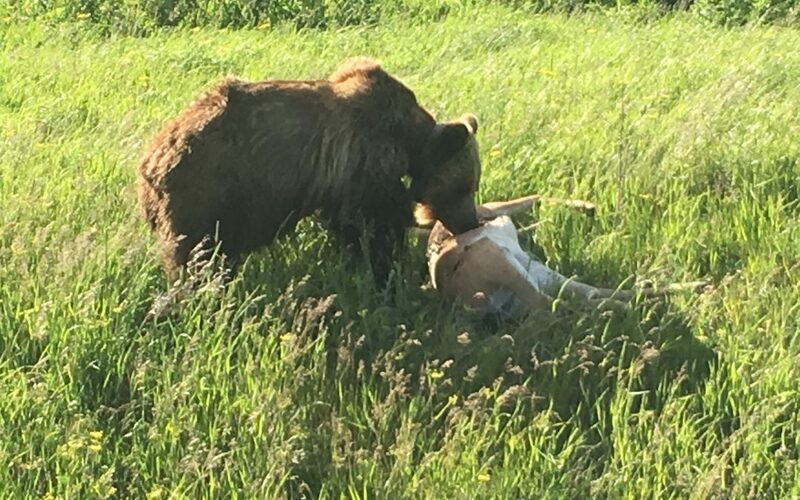 Bears ARE wild animal, and a sow grizzly with a cub and a food source can be a very dangerous bear to encounter. We enjoyed watching the bear for awhile. Eventually the park ranger came to move traffic along. Later that day we were over near Many Glacier, which is often a place to see bears. Sure enough, a black bear and a cinnamon black bear were romping in a meadow. Here MANY people were stopped, out of their vehicles and walking or standing along the road. No Ranger in sight…. 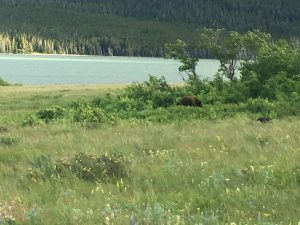 people, Glacier National Park is NOT a petting zoo!